Ms. Sangar is the Director and Head of Digital and Connected Health at Ipsos Healthcare. She leads Ipsos Healthcare’s digital research strategy focusing in particular on mobile and big data. She ensures that Ipsos develops and employs powerful capabilities in evolving digital techniques. Whether this is actively engaging with respondents via mobile, online or, increasingly, through passive measurement and ‘big data’ analytics. 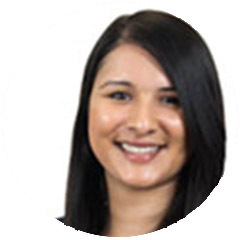 Reena is an experienced researcher and a thought leader in emerging connected health developments. She sits on the board for Personal Connected Health Alliance and recently directed Digital Doctor 2017, the global Connected Health report to understanding opportunities and barriers in the connected health space. 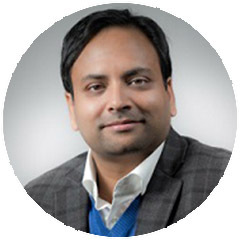 Dr. Patel is the Chief Digital Officer of Prisma Health. Practicing internist for the past fourteen years at Palmetto Health; the largest, most comprehensive, locally owned, non-profit hospital system in South Carolina. Currently serves as the executive medical director of informatics at Palmetto Health-USC Medical Group. Has have given multiple presentations around the country in topics ranging from Healthcare IT transformation, governance, workflow enhancements, and population health. Spearheaded the largest, first-of-its-kind Microsoft Surface pilot in the nation to improve physician workflow, published in the International Journal of Medical Informatics. Subject matter expert for multiple Fortune 500 tech companies, such as Hewlett-Packard, Microsoft, and Intel. Played an instrumental role in the acquisition of over $24 million of venture capital funding for healthcare startup companies, IneedMD and Echo Pixel. Developed a Bluetooth wireless transmitter and mobile application for an IoT connected EKG device. Co-leads the efforts in the optimization and integration of the world’s largest electronic health record, Cerner, at a major hospital system. Serves as a leader in defining and articulating a unique vision on the utilization and development of technology in healthcare. He currently serves on multiple advisory boards including HP, Inc, University of South Carolina College of Engineering and Computer Sciences, and Fraunhofer USA. He also serves principle investigator on multiple IRB approved IT studies in conjunction with USC. Holds a clinical faculty position at the USC School of Medicine, department of internal medicine. He is also one of two physicians in the world who have been awarded Microsoft’s Most Valuable Professional Award. Lastly, he joined HP as their Senior Clinical Strategist in November 2017. Chief Health Innovation Adviser, FCC Connect2Health Task Force and CEO of The Greystone Group, Inc.
Dr. Gibbons is the Chief Health Innovation Adviser for the Federal Communications Commission’s Connect2Health Task Force. He is also the Founder & CEO of The Greystone Group, Inc., a Digital Health innovation, strategy and consulting company that works with public and private sector health and healthcare clients to understand, pivot and thrive in the new digital economy. The company has particular strength in innovation and strategy for organizations caring or preparing to care for significant numbers of underserved populations including rural, seniors, racial and ethnic minorities and incarcerated/ex offender populations. Dr. Gibbons is an Asst. Professor (Adj), Health Sciences Informatics and Medicine at Johns Hopkins University School of Medicine. 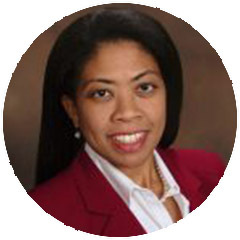 Previously Dr. Gibbons was an Associate Director of the Johns Hopkins Urban Health Institute, and an Assistant Professor of Medicine, Public Health and Health Informatics at Johns Hopkins University. Dr. Gibbons has authored over 75 research manuscripts, monographs, books, book chapters and technical reports. 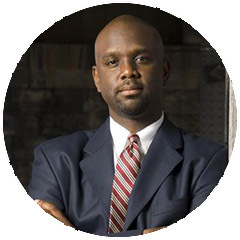 Dr. Gibbons obtained his medical degree from the University of Alabama and then completed residency training in Preventive Medicine, a basic science research fellowship and a Master of Public Health degree all from Johns Hopkins. She is actively involved in community minded initiatives, such as rare disease patient advocacy, and the application of technology services for the promotion of aging with independence and community connectedness. In 2015, Fran was a contributing writer on the Fact Sheet submitted to the White House Conference on Aging, and in 2017 co-author of the LeadingAge whitepaper on Social Connectedness and Engagement Technology for Long-Term and Post-Acute Care. She is presently a Board Member of the NHA of San Diego, member of the Center on Aging Services and Technologies, PCHAlliance, LeadingAge, APHA, special interest participant in the NAHC, and founder of IBHealthy, a 501(c)3 nonprofit digital health and wellness organization, whose mission is to provide ease of access to the resources needed to adopt and maintain a healthy lifestyle.